Helping build a radical movement for the future by creating a living community today. This year we will come together for the 8th Peace News Summer Camp. The event was the brain child of Emily Johns and Milan Rai Peace News editors who wanted to bring people within the British peace movement together to build the community spirit of the movement. 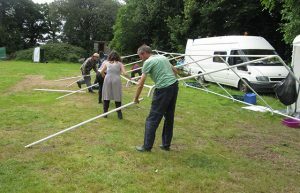 The camp was to be different from traditional festivals, because it would be put up, maintained and taken down by the people attending the event – “trying to create a microcosm of the world we are trying to create”. 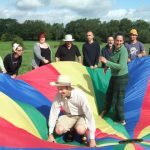 The first event was held in Oxfordshire and attracted over 120 people, and the workshops, speakers and entertainers generated debates about broad ranging subjects like non-violent action and the anti-war movement. The participants each year have been asked to fill in feedback forms and this quote best encapsulated the feel of the 1st event “the fascinating and engaging discussions, debates and conversations that seemed to be taking place all the time, all over the camp – fantastic networking amongst groups and individuals”. 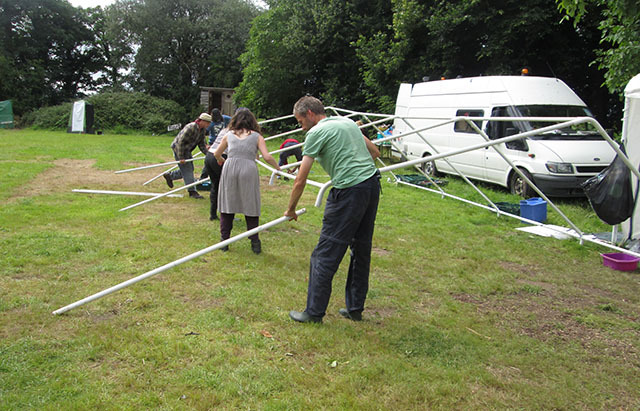 The camp had a good foundation, and since the 1st year it has attracted more than 100 attendants each year, recognised individuals and organisations within the peace movement have run workshops including, Seeds for Change, Faslane Peace Camp, Milan Rai, Cynthia Cockburn, Campaign Against Arms Trade, George Lakey, Paul Rodgers and many more. Entertainment has been provided by Robb Johnson, Tracey Curtis, The Carbon Town Cryer, Seize the Day. About the 2010 summer camp, someone wrote “safe, friendly, interesting, happy, accepting, great for networking, well thought out and set up. Thank-you for organising and creating a lovely village”. This was the intention of the camp, to create a space where people feel safe, in which everyone can challenge their own ideas, learn and explore different perspectives through debate and celebrate empowerment. 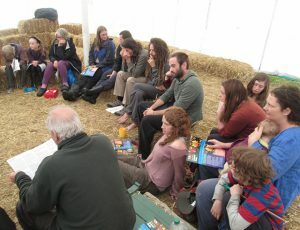 The Summer Camp has always tried in the first instance to focus on the margins within the British Peace Movement, which include feminist peace movements and activists of colour/people with a global majority heritage, as well as provide a platform for more recognised and mainstream figures like Bruce Kent and Paul Rodgers. The 2014 summer camp celebrated the centenary of World War 1, also known as the Great War. The 2016 summer camp celebrated the 20th anniversary of the acquittal of the four Seeds of Hope women after they disarmed (hammered on) a Hawk jet due to be exported to Indonesia. We also hope to give a platform to activists who are helping people in the refugee crisis that has unfolded over the last two years.